The Basketball Champions League returns for a third season on Tuesday, with top clubs across Europe hoping to dethrone AEK Athens. 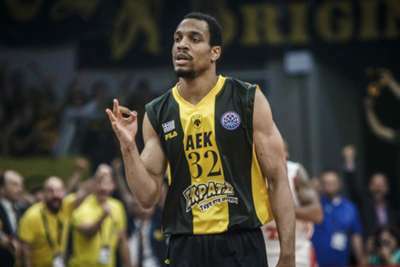 AEK won their first title in May when they defeated Monaco 100-94 in an entertaining final on their home court in Greece. Ahead of the first round of fixtures of the new campaign, including the champions' clash with Hapoel Jerusalem, we look at the 2018-19 contenders. A very strong Group A features two 2017-18 semi-finalists in Murcia and Riesen Ludwigsburg, plus 2016-17 runners-up Banvit. Murcia perhaps look like the pick of those sides, though, having proven last term their propensity for an upset. The Spanish club dumped out Tenerife and pushed AEK all the way in the Final Four. The 2016-17 champions fell short last year, but they are one of the favourites for this season's competition, having recruited aggressively in recent months. Yet having lost several stalwarts, Tenerife needed their new men to hit the ground running. They have done exactly that, with Thad McFadden marking his home debut with 26 points and six assists as the team have won two of their opening three Liga ACB matches. If AEK are to defend their title, they will have to do so with a much-changed roster. Head coach Dragan Sakota has moved into the front office - replaced by Luca Banchi - while reigning Champions League MVP Manny Harris and Final Four MVP Mike Green have both departed. Although Dusan Sakota, the former coach's son, is on board, along with Greece team-mate Charis Giannopoulos, AEK lost their domestic opener to Peristeri. The Turkish giants have flattered to deceive in this competition, but they must be considered contenders again heading into 2018-19. Besiktas are among a number of established names in Group D and have shaken up their roster in a bid to improve on their past disappointments, and are led this year by veteran coach Dusko Ivanovic.